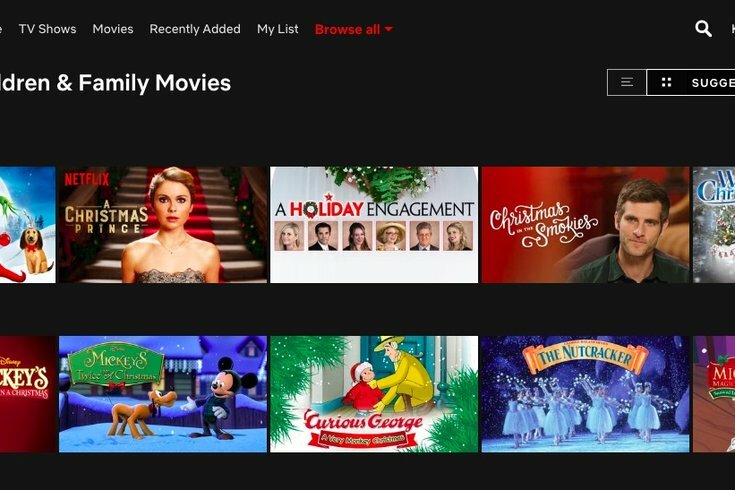 Using codes to change the URL on Netflix, you can unlock Christmas movies early. This one is for the Christmas and holiday neurotics out there. We've uncovered a Netflix secret that will let you get your hands on the seasonal movies you crave as early as November this year. Netflix actually has thousands of codes you can use to browse new genres available for streaming. Most of them aren't readily available on the U.S. site's general menu, so knowing these codes unlocks a ton of binge-able content. You're welcome. And this secret certainly applies to Christmas movies. The secret codes that unlock new categories of festive movies have started to circulate online, so we'll teach you how to use them. First, type this URL into your browser: www.netflix.com/browse/genre/INSERTCODE. That last part is a place holder for each genre-specific code. The different codes change what movie titles are filtered into your results. Just put that code in place of "INSERTCODE" in the URL, and voila! Here are a list of codes sorted by age, year, country and theme. They might even help you expand your Christmas movie traditions. Enjoy! Oh, and if you're watching from a smart TV, all you have to do is type in these exact categories into the search bar.